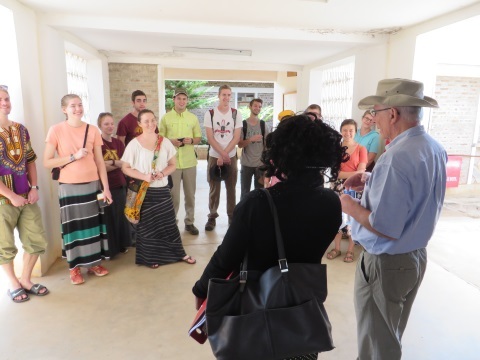 Today, the group went for a hike at sunrise, toured the University of Iringa, and learned about the problems faced at the Ilula Hospital due to unsafe water. Before breakfast, our group set out on an intrepid hiking adventure to see the sun rise. 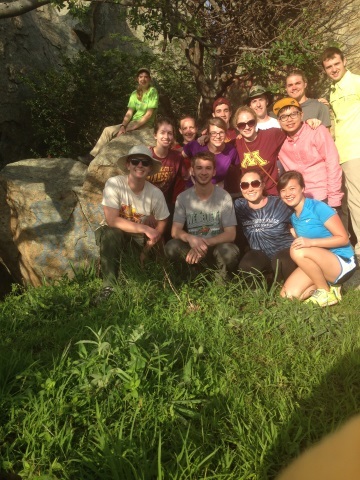 We enjoyed the beautiful scenery of Tanzania and rock climbing. 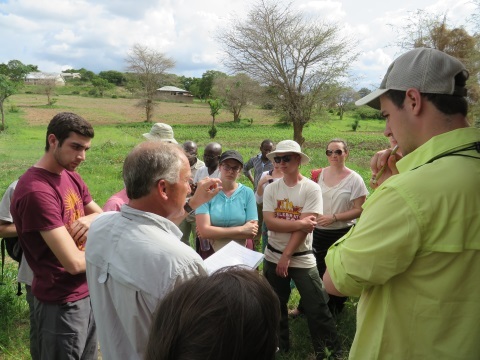 In the morning, our group went to the University of Iringa. One of the co-founders of the University, Gary, introduced the history of the school. He mentioned how the head engineer built all of the buildings of the campus without the use of any power tools. The school has a very good math program and they are figuring out a way to establish a science department. 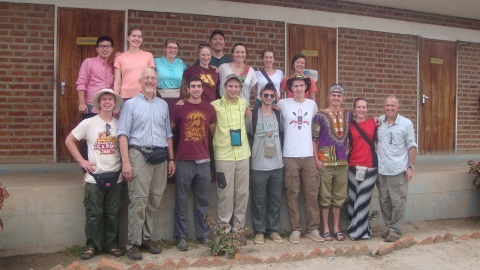 In the afternoon, we visited the Ilula Hospital. At the hospital we learned about the problems doctors are facing and the hospital's needs for clean and safe water. One of the doctors at the hospital mentioned that about 80% of the patients that enter the hospital results from the use of unsafe water. We viewed the hospital's existing water system and discussed an improved water system designed by students from the previous year. The hospital currently has a well which supplies water for the hospital, but the existing system cannot distribute water to the entire hospital. Professor Strykowski and Dr. Smith also discussed the feasibility of the past design. We finished the day meeting the students from the University of Iringa that will accompany us on our visits to the villages.